Good Morning friends! 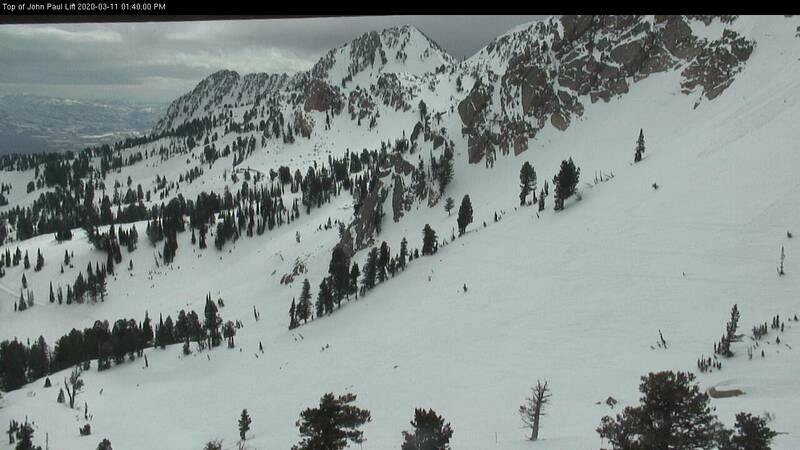 It was a great opening weekend at Snowbasin Resort, with over 3 feet of fresh snow from the last storm! Stoke is running on high as our season launches and it is a great time to talk about staying safe on the slopes during the early season. 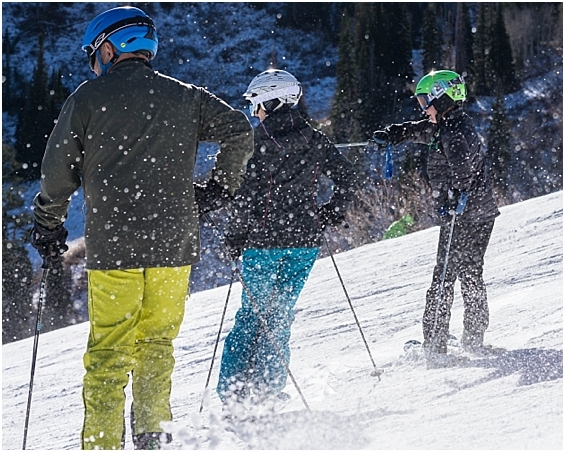 November and December can present some tricky conditions that make sharing the slopes more important. Limited terrain increases the number of people on a run. Add to it inconsistent snow, a ski school lesson on one side, a child who stops suddenly in the middle of the run, and a few advanced riders just trying to get their legs back in shape, and we have a recipe for disaster. Now, before you click off this post, I have five practical tips for everyone, from child to adult, beginner to expert. 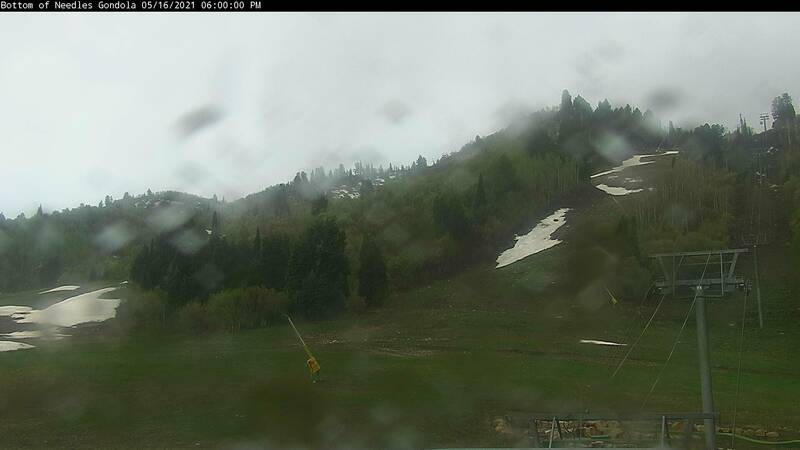 We want to see everyone stay safe, so they can enjoy a long, powder-filled season here at Snowbasin Resort! 1. Please be mindful of and respect the slow signs. Ski Patrol has placed these signs in areas that tend to have higher congestion, blind spots or the merging of multiple runs. 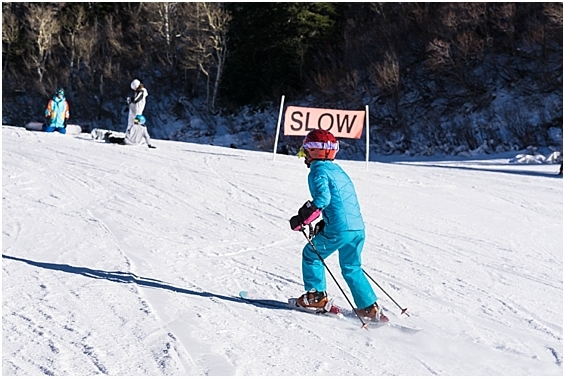 TIP: If you have a larger group or family all skiing together, these orange slow signs are a terrific place to stop and regroup. Instruct your group to stop on the downhill side of the sign while waiting for friends. 2. Be mindful of the terrain, firm locations, and blind spots. Slow down before knolls as firm conditions often exist in the blind spot directly below them. It is a common fear response, especially for children, to stop immediately below the knoll as the run becomes steeper. However, this places everyone in danger, as the child is generally invisible to riders above them. 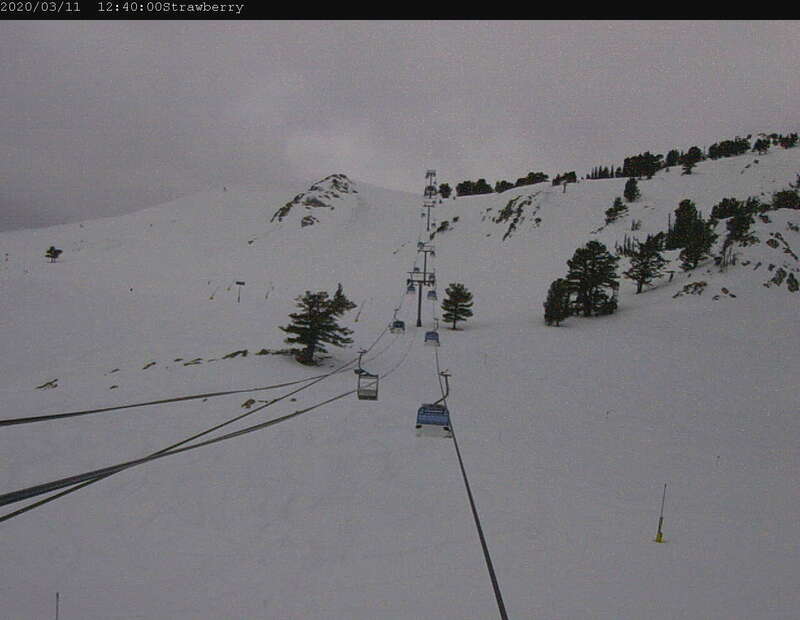 Also, remember that if you venture into the trees or off-piste during early season thin overage could exist. TIP: Slow down and stop before/on the knoll, where you are visible to riders above you but can still look at the steeper section. From here, come up with a plan to safely descend the steeper sections. 3. Stop in areas outside the flow of traffic. Choose to stop on the side of a ski run, or as mentioned above, on the downhill side of signs or snow guns. TIP: Remaining behind your child allows you to easily help if they fall without climbing back up the uphill. Children also have a tendency to stop or turn quickly. 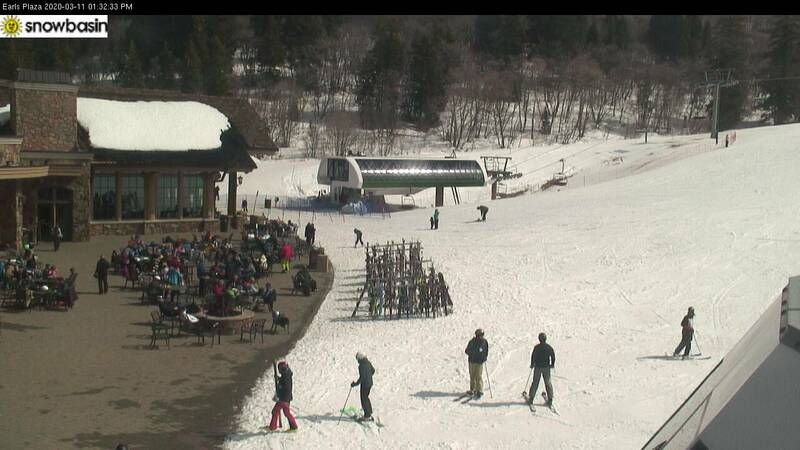 I like to provide a buffer of safety for them from faster moving skiers or riders descending from above. 5. 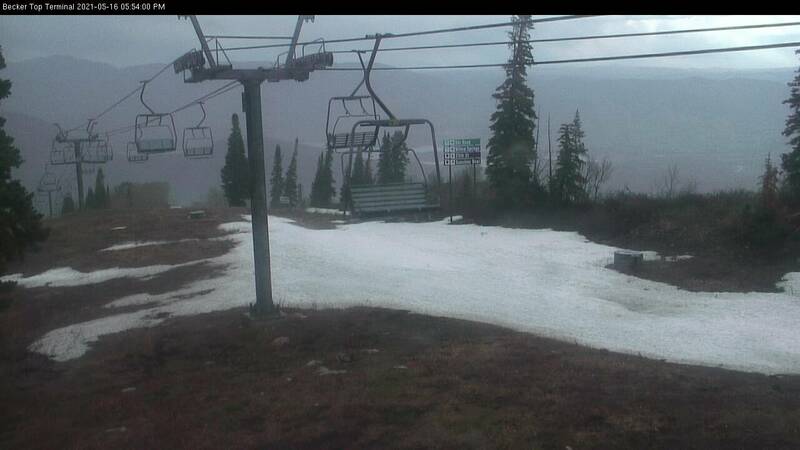 Have a long view of the ski season. Friends, this is just the beginning of an awesome season ahead! 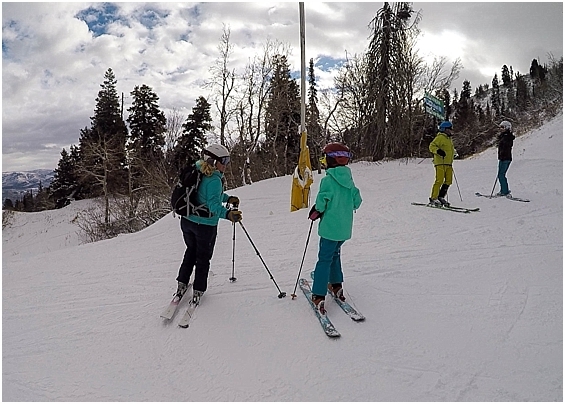 It is super easy to become sucked into a mindset to push our abilities or speed early in the season just from the sheer excitement of being on the slopes with friends again. Remember we have months of riding ahead of us. 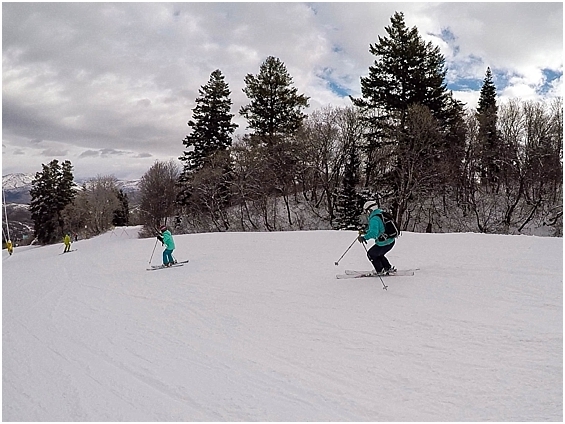 Use this time to slow down, share the joy of being in the mountains again, and spread kindness on the ski hill! Thanks, friends! I look forward to an amazing season with you on our favorite mountain.